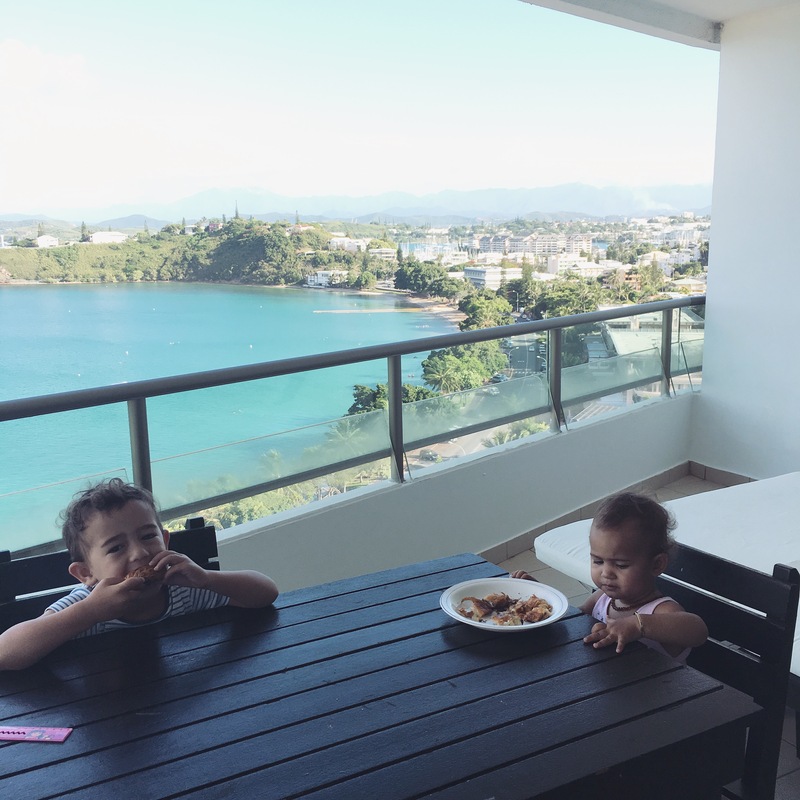 A family holiday was on our ‘must do before Marlo turns two’ list (so that we didn’t have to pay for her full price flights), we had been discussing destinations – the usual Fiji, Rarotonga were the top contenders as they seemed the most popular. But then… in December last year, some flights came up through Nare’s work (he’s in the Air Force) at a largely discounted rate, to New Caledonia. He text me the details and I replied almost instantly “Lets do it!”. It was for February, so a bit sooner than our planned May holiday, but it was too much of a great opportunity to pass up! Up bright and early on our first morning in Noumea, with a 2 hour time difference – so about 5.30am local time. Watching the sunrise was beautiful though! This was the first major culture shock for me (Nare not so much as he’s travelled a lot), as I have only been to English speaking countries before. 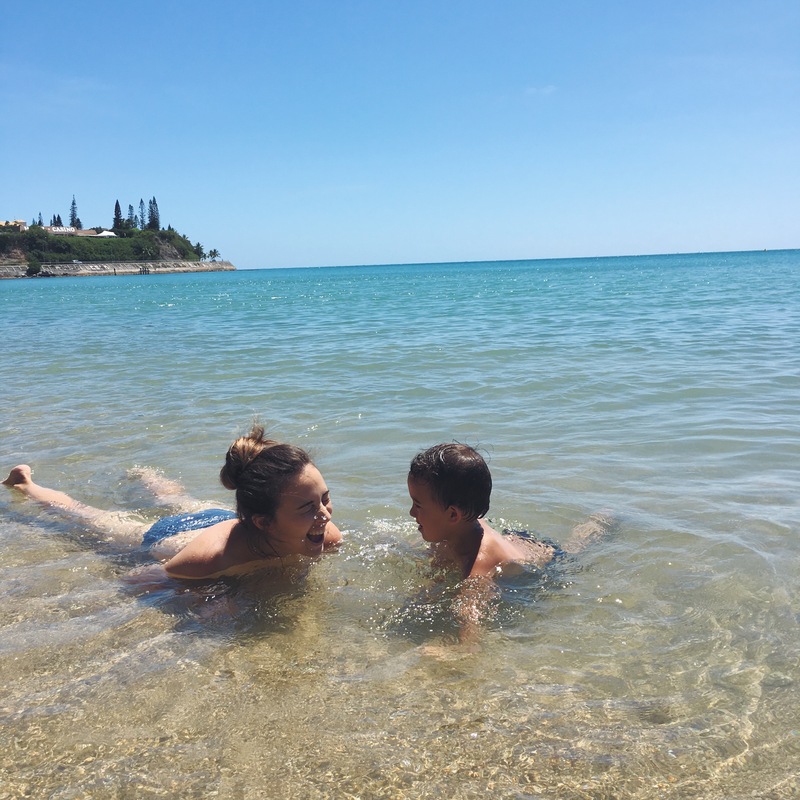 French is the main language used in New Caledonia and I’m not even kidding you – all I knew how to say was “Bonjour” and “Merci”, I would advise learning even a tiny bit of French before going haha! 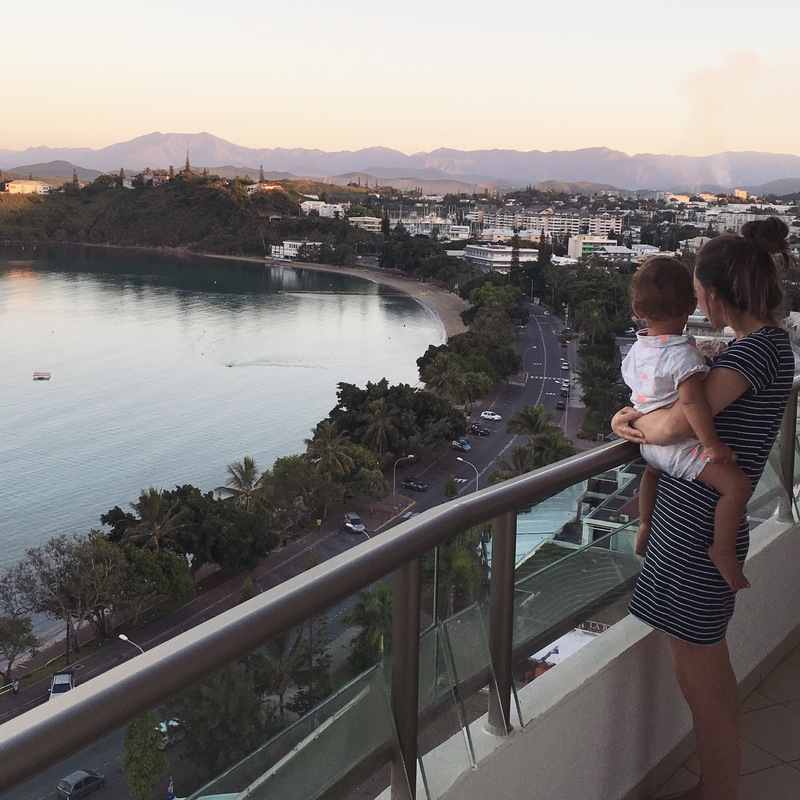 New Caledonia isn’t a huge tourist destination, other than cruise ships – and we found not many locals and people working in shops/restaurants, spoke more than a few words of English. It was hard! I pretty much just let Nare do all the talking – lets be honest! Everything from finding a taxi, asking which bus to catch – heck even doing groceries was hard because EVERYTHING was in French! 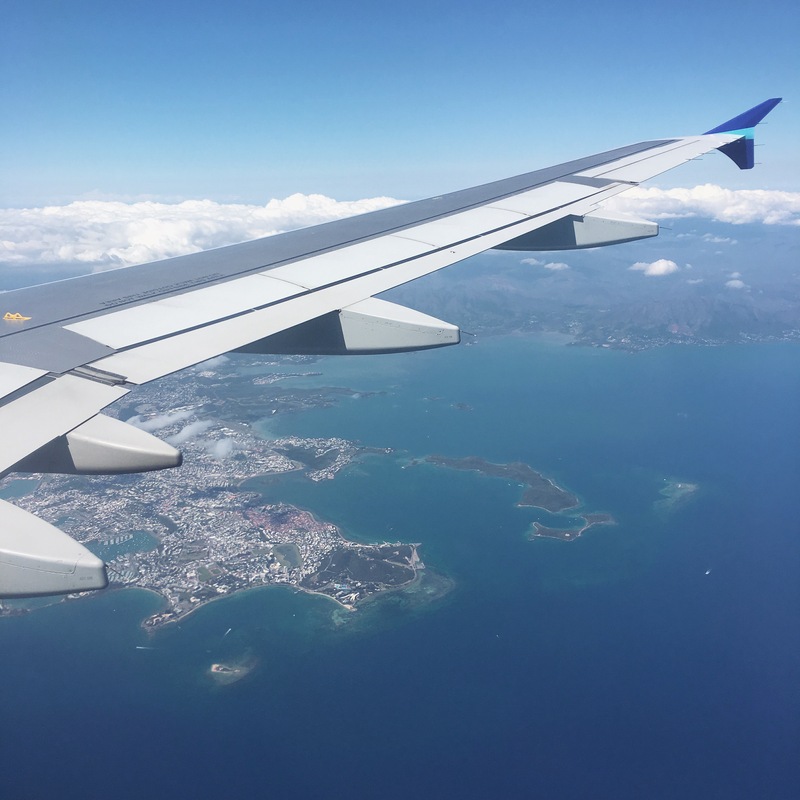 We flew into Tontouta but stayed in Noumea, the capital of New Caledonia. Our hotel ‘Casa Del Sole’ was approximately 10 minutes by taxi/shuttle from Noumea city centre and was located smack bang in between two of the most stunning beaches. A less than 5 minute walk to Baie Des Citrons (Lemon Bay) on one side – which was a beautiful bay, perfect for kids and across the road from a bunch of shops and restaurants. Off to the other side (only a 5 minute walk) was Anse Vata Bay – less hustle and bustle being away from the shops and super picturesque – though not as sheltered so once the wind picked up, a few days into our stay – we didn’t go back there as it was too rough for the kids to swim in (loads of kite surfers on these days and you can hire them too!). We were on the 14th floor at Casa Del Sole and our view was amazing. Hannah booked us a 2 bedroom apartment – 1 bedroom with a king bed and 1 with two singles, a decent size living area, kitchen and balcony. The apartments were tidy and clean and we would 100% stay there again. The location was too perfect! The internet wasn’t very fast all the way up there, but I still managed to upload snapchats and photos to social media… it was approx $24NZD for the week. The motel had a pool which we used multiple times, and had a wee shop at ground floor which you could purchase fresh bread and croissants from each morning (which we did), and other ‘four square/dairy’ type items. Casa Del Sole was really reasonably priced (we thought) and was around $2000NZD for 9 nights. We knew that we wanted an apartment with a kitchen so that we were able to save money on food and cook some meals ourselves, so that was something we told Hannah from the get go. We went to the supermarket at the start of our holiday and again around the half way point (a $10 round trip via taxi, or bus which is only a couple of dollars). We got snack foods for during the day, sandwich fillings, bread for toast in the mornings and then ingredients for some slap together dinners. We aimed to cook a dinner every second night, eat out the others, and have breakfast and lunches at the apartment – we did pretty well at sticking to that! Each morning we would go downstairs and buy a baguette for approx $1NZD and use that for our sandwiches at lunchtime. Eating out isn’t overly cheap there, we mostly ate at a bar which sold yummy pizzas (and had some staff that spoke a bit of English) and a place called Quick that was basically like Burger King haha! The kids loved it because it had a huge playground. Pizza + a couple of drinks cost approx $25NZD and similar price for our dinner at Quick also. Gelato is a must try too! WHAT ELSE DID WE DO – OTHER THAN THE BEACH? 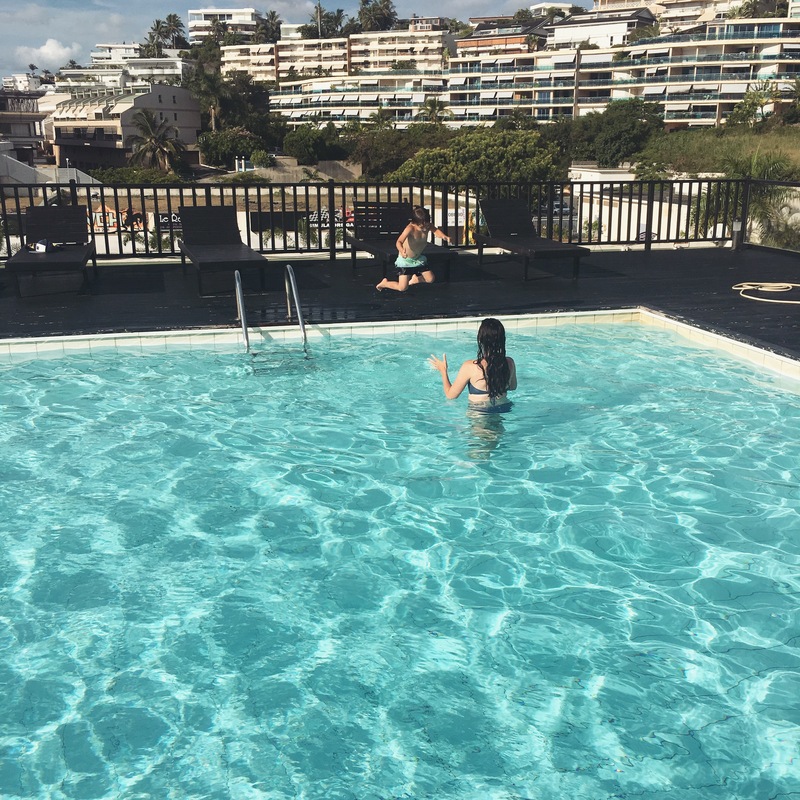 Prior to our holiday I’d done a bit of research, written down things we could go to, places to explore… and in the end we had so much fun relaxing at the beach, swimming in the pool, having naps, eating (LOTS of eating) – that we only did ONE thing on my list! haha! That was hitting the aquarium. It was less than 5 min walk from our apartment and the kids loved it. We managed to kill a good hour there and the kids thought all the fish and turtles were the coolest ever! It’s no Kelly Tarltons by any means, but definitely cool to check out if you have kiddies. Other than that, we literally spent most days at the beach, back to the apartment for nap time + food, back to the beach, repeat, repeat, repeat. We did bus into the city centre one day ,but it wasn’t overly thrilling to be honest. It’s cool to have a look if you’ve never been there – but where we stayed was much nicer (and cleaner) than the city. Though if you’re into hikes and adventures, there is plenty of that to do! Just not something we looked into personally. WHAT WERE OUR HOLIDAY MUST TAKE ITEMS? First off on my must have list is 100% our Mutsy Nexo, from our friends at Global Baby. HIGHLY RECOMMEND (proper review coming soon on this). It’s a super light weight stroller that folds down really compact (would fit in an overhead compartment on an international flight!!) and was an absolute life saver! Marlo cruised in it 90% of the trip, to and from the beach constantly and on the odd occasion when Brooklyn got tired of walking – he would jump in and one of us would carry Marlo. It reclines totally flat which meant Marlo could comfortably nap on the go if we were out at nap time. It has a decent sized storage basket underneath which meant we never even had to carry a bag with us – we just chucked all our belongings under there and were good to go! It came on the bus with us too! 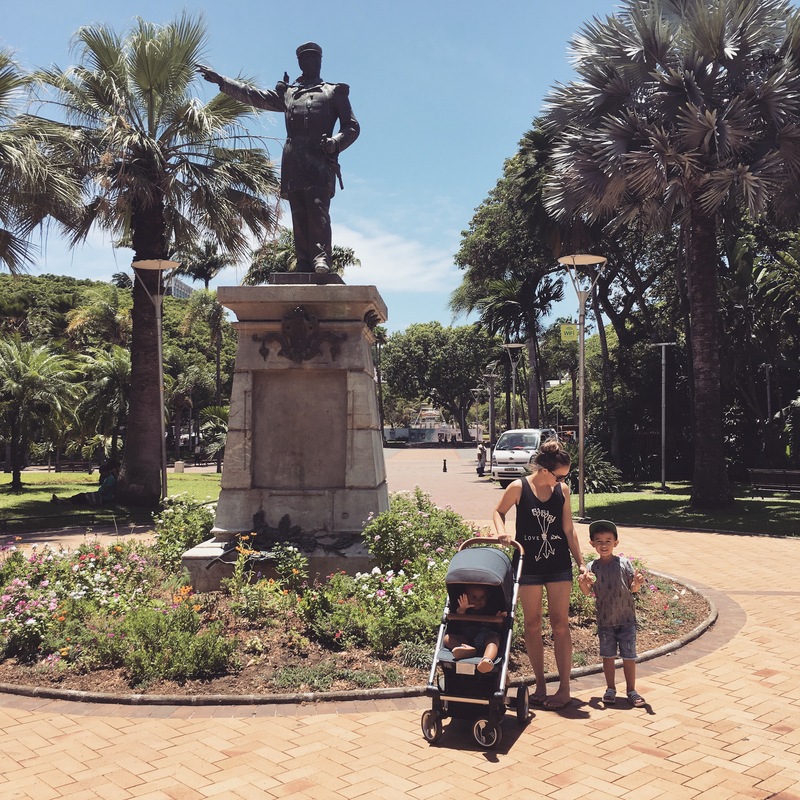 I took our Mountain Buggy Juno with us also – but we only used it a couple of times because it was just too hot for baby wearing. The kid’s Haakaa stainless steel thermal drink bottles were also absolute life savers while we were there! With it being so hot, it was nice to know we could fill them with ice cold water, and know they would stay cold the whole time we were out. Nare and I were jealous that our water kept going warm while they had nice cold water haha! Before we left I purchased two Yumbox lunchboxes for the kids from Global Baby – thinking they would be perfect for day trips for lunches for the kids. But as you’ve read above, we barely went on any ‘day trips’ because of the perfect location of our apartment. So they barely got used while we were in Noumea. BUT they WERE amazing for on the flights! They are an awesome slim line, bento style lunch box and I can easily fit two side by side along with their drink bottles, in my bag. Perfect for both flights and I’ve been using them both lots since we got home. You will find some of our must haves in a giveaway running at the moment over at Travelsmart Porirua so make sure you enter! WOULD WE GO BACK TO NEW CALEDONIA AGAIN? Absolutely YES! Though we were there for a decent stay (9 nights), we were super gutted to be leaving and wished we could stay for longer. It was a such an enjoyable and relaxing holiday, even with a 4 year old and a 1 year old. Given the opportunity again, we would definitely go back! We can finally tick ‘First family holiday’ off the list! Yay!